Move it up and down with ease! The ISO hanging magnetic sweeper moves up and down easily. 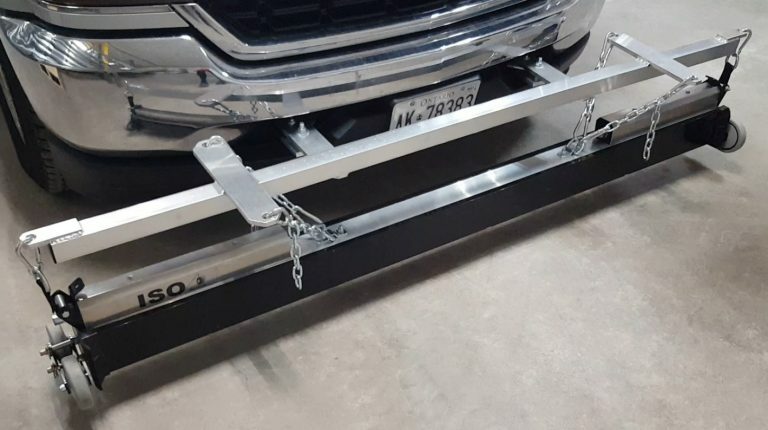 The ISO is a hanging magnet designed for mounting under commercial type vehicles such as street sweepers, shunt/yard trucks, larger commercial trucks as well as standard pickup trucks. Once mounted it picks up metal debris that causes flat tires such as nails, screws, wire, discarded pieces of metal from fabrication activities, bolts, nuts, pins, miscellaneous metal pieces, etc. 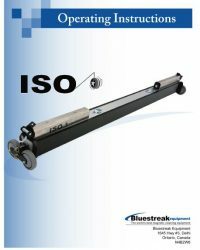 The ISO is designed with complete stability and control in mind, solving many of the problems associated with hanging magnets. It comes with 6 stabilizing chains, Dynatread Thermoplastic rubber Bumper Wheels on each end and an easy height adjustment feature that allows complete control over the height of the magnet once it is mounted. The ISO also comes with a durable Quick Clean Off Sleeve for easy removal of debris. And to keep the ISO’s long term performance power, the ISO utilizes permanently charged C8 Ceramic Magnets that will never need to be recharged. These magnets provide a strong magnetic field with a maximum lifting height of 9 inches using a 2.5″ nail. Performance power will never decrease, ensuring years of use. 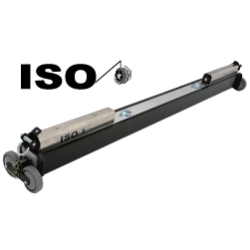 Two fully enclosed Actuators make controlling the magnet’s height quick and easy. The ISO is available in 4 different sizes! The ISO comes in 4 different sweeper widths of 62″, 74″, 86″ and 98″ to accommodate many different vehicle sizes and uses. The ISO can be front, mid or rear mounted on a variety of vehicles as long as enough clearance and space is present. As a hanging magnet, the ISO has no specific requirements of the vehicle to ensure FIT. 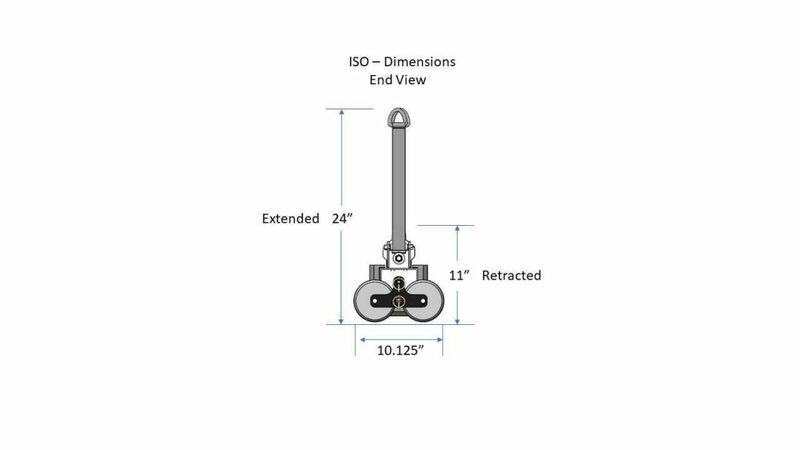 You should however, take a look at the CAD files showing overall dimensions of width and minimum retracted and maximum extended dimensions to ensure this magnet will work with your intended vehicle and the anticipated mounting position. To accommodate mounting of the ISO to a vehicle it may be necessary for the purchaser to design and build a suspension frame with mounting points specific to those available on the vehicle being used as well as the suggested mounting points to the ISO. 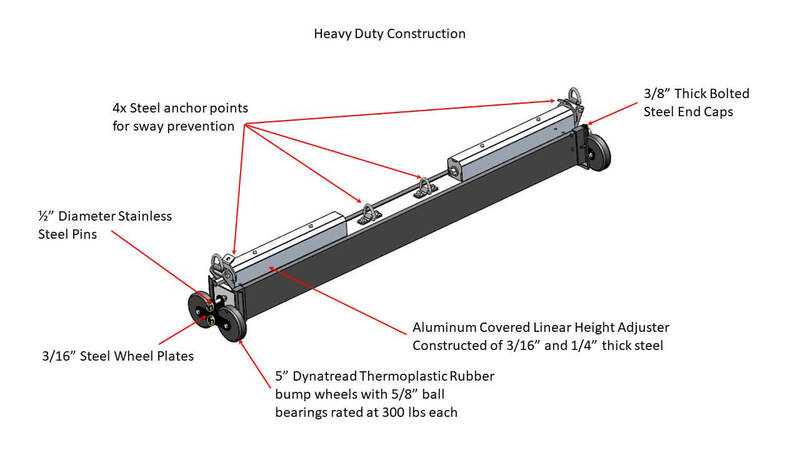 Guidance on the design of such as frame is provided in the ISO Assembly and Installation Instructions. The ISO is designed as a hanging magnet that is super stable. When a hanging magnet is attached to a vehicle there can be a lot of movement and swing to the magnet when the vehicle is in motion making the magnet ineffective. The unique ISO design eliminates this problem. 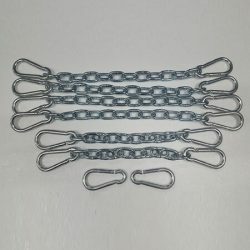 The ISO is designed to use 6 stabilizing chains to create a very stable magnet. 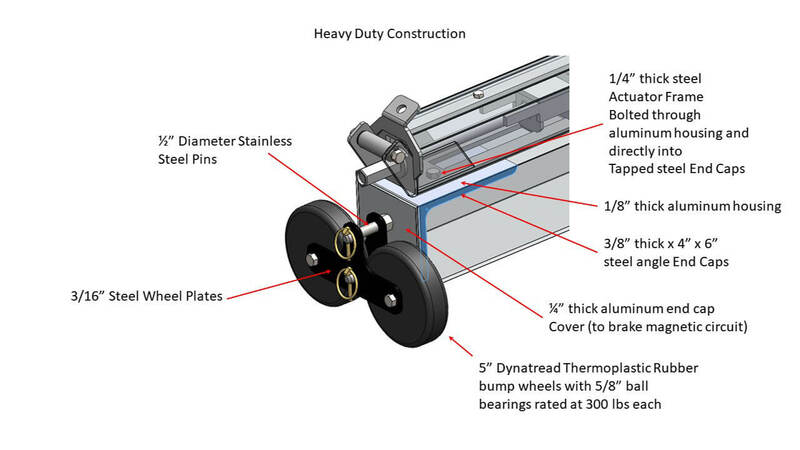 The ISO is also designed with heavy duty Bump Wheels on each end of the magnet. The Bump Wheels add further stability preventing the magnet from hitting the ground. 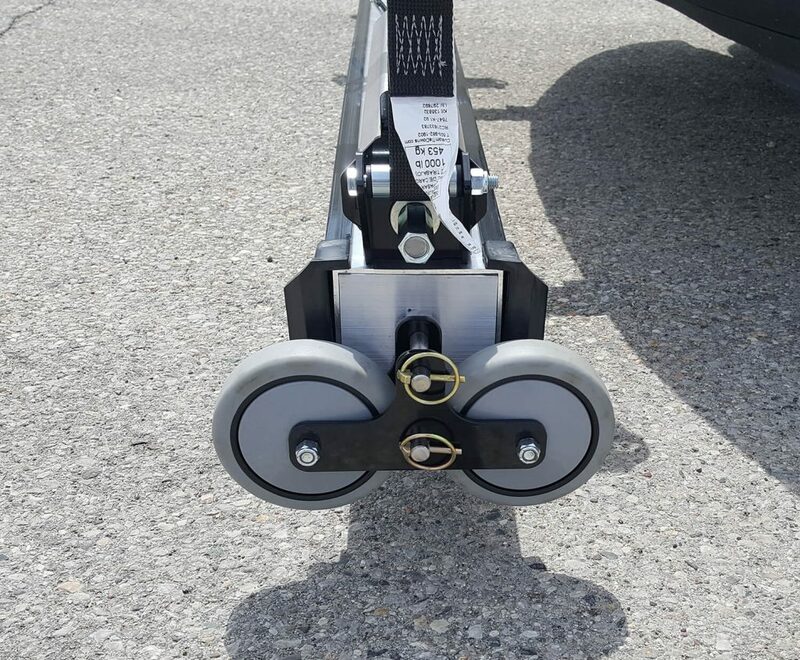 The Bump Wheels are designed to hang slightly above ground, but protect the magnet from hitting the ground when the truck suspension compresses, or if there are bumps in the road. The Bump Wheels also allow hanging the magnet lower for better performance than would be possible without Bump Wheels. They ensure a consistent height off the ground is maintained when sweeping. The Bump Wheels are 5” Thermoplastic rubber wheels with polypropylene hubs that have a 300 lb capacity (each). Stabilizing chains secure the magnet so there is very little swing and make it very very stable. Bump Wheels stabilize the sweeper and prevent the magnet from hitting the ground. They also allow low sweeping heights. Once a hanging magnet is mounted to a vehicle it can often be quite difficult to fine tune and control the sweeper height. This is especially frustrating if operators want the sweeper raised and out of the way when it is not being used or when moving between job sites. Operators do not want to attach and reattach the magnet continuously. The ISO makes adjusting the height of the sweeper easy! 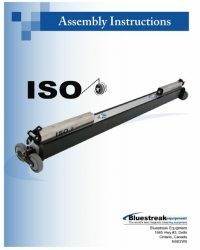 The ISO is unique because it is designed with Actuators on either end of the magnet that make moving the magnet up and down super quick and easy. By using a cordless drill inserted into the Actuators, operators can easily control the sweeper height, moving the sweeper to the chosen sweeping height or raising it to a road traveling height. 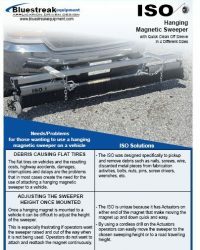 When mounting a hanging magnet under a vehicle the magnetic sweeper needs to be easy to clean off. 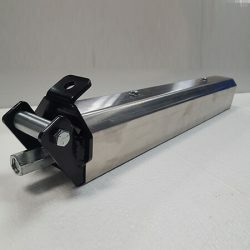 To clean off the ISO magnetic sweeper when full of debris, just remove the Bump Wheel bracket on one end, slide the wheels off and pull off the Quick Clean Off Sleeve. All of the debris will drop off on the side of the magnet that you pull the Sleeve off. Clean off is easy, convenient and simple. The ISO has a compact profile so it doesn’t interfere with your vehicle operations. 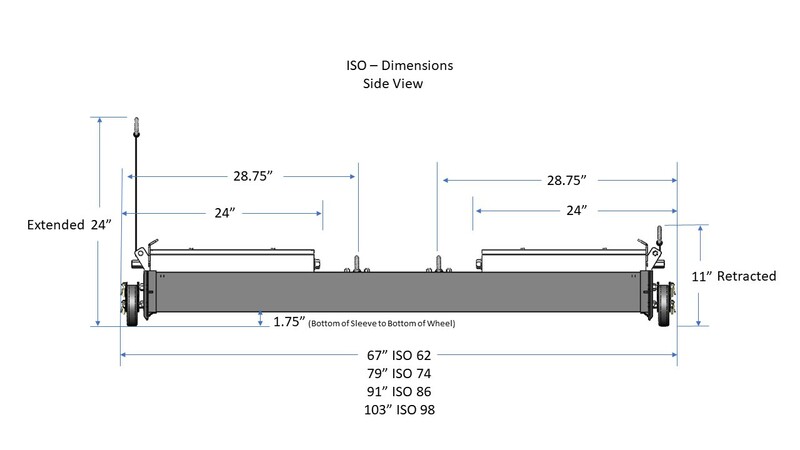 For further information see the CAD section for CAD drawings showing overall dimensions of the ISO. The ISO uses permanently charged grade C8 magnets that will never need to be recharged. Power will never decrease, ensuring years of use. The ISO will pick up a 2.5” nail when the bottom of the magnet is 9” off the ground providing plenty of pickup power performance. Magnet effectiveness will decrease as speed and sweeping height increase so to maximize performance we recommend setting the sweeping height between 2 and 3 inches in most situations. The maximum effective sweeping height while a vehicle is moving is 5″. 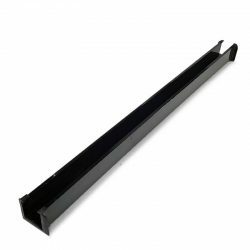 The ISO magnet is completely enclosed, and the replaceable black PVC Quick Clean Off Sleeve further protects the magnet by taking all of the wear and tear of everyday use. The ISO is designed as an all terrain magnet which means it is designed with our “Wrap Around” feature. The “Wrap Around” feature ensures debris never gets wiped off the bottom of the magnet. The debris that slides off the bottom just snaps onto the back of the magnet. In practice most of the debris that is picked up ends up on the back side of the magnet when operating at speed which gives you a good indication of why we have this feature. The ISO magnet is built for long term durability. 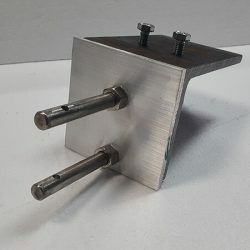 Metal debris hitting the aluminum magnet housing can wear the aluminum housing on the magnet over a long period of time and reduce its useful service life. That’s why we’ve shifted the wear to the replaceable and removable PVC Quick Clean Off Sleeve that wraps around the magnet making clean off quick and easy and it extends the life of the ISO magnet. Durable and Protective PVC Quick Clean Off Sleeve. Available in 4 different sweeping widths. Replacement Quick Clean Off Sleeves and all parts can be ordered on this website if needed. Control the sweeping height to accommodate any situation. Comes with 6 Stabilizing Chains. The ISO comes almost fully assembled and is easy to install and setup.